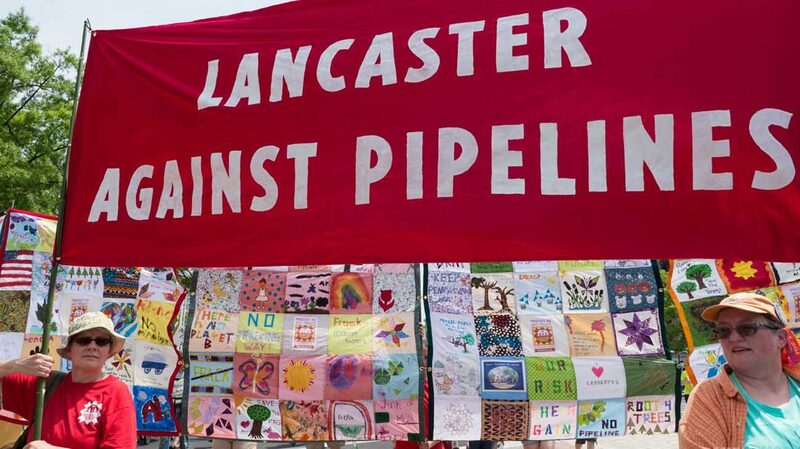 WASHINGTON (CNS) — Nearly two dozen people, including a juvenile, were arrested as they blocked workers from starting construction of a short leg of a natural gas pipeline on property owned by the Adorers of the Blood of Christ congregation in Columbia, Pennsylvania. “We will continue to have a presence here. How can we not? We live here. This is our home. These are outside marauders who have come in and seized our property,” said Ann Neumann, a member of the anti-pipeline group. She said her nephew, Ashton Clatterbuck, 16, was among those arrested. He is the son of Mark Clatterbuck, one of the group’s leaders. The elder Clatterbuck was not arrested. Work began as soon as the last protester was removed. The congregation’s land is in the Diocese of Harrisburg. The Adorers have worked loosely with the anti-pipeline group in efforts to block construction. Chris Stockton, a Williams spokesman, said the court had agreed with the company’s position that construction should begin as soon as possible. “We respect people’s right to protest, but our focus is on constructing this project in a safe, efficient manner and we’ll work to make sure the workers, the protesters and the police get through this project safely,” Stockton told Catholic News Service. “Ours is a peaceful, prayerful resistance to protect ‘the Holy in all of life,'” the Facebook post said. The congregation challenged a Federal Energy Regulatory Commission order authorizing construction and operation of the pipeline in federal court saying it violated the sisters’ right to practice their faith under the Religious Freedom Restoration Act and asked that it be rerouted. A federal judge ruled against the sisters Sept. 28, but they have appealed the decision. The judge allowed construction to begin even though the appeal was pending.